Affordable Accoutrements: Another Place and Time! If you're a regular reader of Affordable Accoutrements, you're accustomed to seeing me setting tables with vintage items I've collected from estate sales, antique shops, and thrift stores. A quick glance at the picture below, however, will tell you something's different this week. We're definitely in a different room this time. In fact, today's table is set in a completely different house, a very special one that I've mentioned before on Affordable Accoutrements. It was during a (virtual) tour of Historic Bolivar, Tennessee, a few months ago. You can see it HERE. The Pillars, built circa 1828, is now an Association for the Preservation of Tennessee Antiquities property (owned and maintained by the Hardeman County Chapter). U. S. Presidents, James K. Polk and Andrew Jackson; Jefferson Davis, President of the Confederate States of America; and Sam Houston, governor of two states, President of the Republic of Texas, U.S. senator, and military hero, were all entertained here by John Houston Bills and his first wife, Prudence Polk McNeal Bills, a cousin of President Polk. Celebrated American folk hero, frontiersman, soldier, and politician, Davy Crockett also came to call. The Pillars served as a hospital twice during the Civil War, alternately providing care for men on both sides of the conflict. Below is an original portrait of Major Bills in the home's entry hall. The Bills family lived in the home for approximately 140 years. Most of the furnishings are original. Behind the wonderful old square piano is one of the home's windows with "jib" doors(that allowed the window to be raised and the wooden double doors at the bottom opened) to provide easy access to the porches. I was honored to be asked to stage the dining room for this year's tour of historic homes in Bolivar. It provided a slightly daunting challenge, as I thought of the home's rich history and of the celebrated guests who'd been entertained there in the 1800s. When Paula, one of the organizers of the tour, asked me if I'd be interested, she kindly offered to let me use any of the Bills family's china and serving pieces that remained in the home. I told her I'd feel more comfortable using something of my own, unless it needed to be period china. She assured me that it would not be necessary to adhere to an historic interpretation, pointing out that The Pillars had truly been a family home over a very long period of time. She reminded me that things had been used, worn out, replaced as styles changed, thrown away, inherited, and so on. Naturally, the night before, I had selected (and packed) everything I planned to use. From unloading the car to unwrapping china and crystal, setting the table, arranging the flowers, cleaning up the staging area, and taking photographs, I managed to finish the task in well under 2 hours on Saturday morning. It was a pleasure to be a small part of such a well-orchestrated day that involved dozens and dozens of docents and other volunteers. I admire their dedication, their passion, and their energy. Community pride and a warm spirit of cooperation were evident in everyone I met that day from children to the beautiful octogenarian who didn't look remotely near the age she demurely revealed herself to be. Isn't it a wonderful room? A docent mentioned that Major Bills preferred light, warm wall colors that reflected the soft light of candles and oil lamps. One of the rooms is painted a fairly intense, slightly greenish, shade of yellow that most of us today would find somewhat garish. They know it's a color he favored, however, because he wrote down the paint formula in one of the detailed diaries he maintained over the years. She said it brightens the room in the daytime, and takes on a soft, subtle glow by candlelight. The chandelier originally hung in the home of one of Tennessee's former governors. Cissye, president of the local APTA chapter, can be seen in the background preparing to make beaten biscuits to serve to tour participants. Since she's average height, or slightly above average, it's easy to see how tall the ceilings and doorways of the home are. Have you ever tried beaten biscuits? In days gone by, these were made by beating the dough until it blistered (about 15-30 minutes) to make the dough "snap." They are sometimes considered "Sunday biscuits" and can be stored for several months in an airtight container. Beaten biscuits were once so popular that special machines, called biscuits brakes, were manufactured to knead the dough in home kitchens. A biscuit brake typically consists of a pair of steel rollers geared together and operated by a crank, mounted on a small table with a marble top and cast iron legs. That's what Cissye used during demonstrations for visitors, and she explained that the dough has to be put through the rollers approximately 200 times! I decided to go for an old-fashioned look, using vintage Tiffin crystal stemware and Haviland china. The table's so beautiful, I opted to dispense with a tablecloth. It can be expanded to serve 12 guests, but I decided to remove some of the leaves and set it for 6, leaving plenty of space for guests to move about in the room. This set of crystal also includes oyster/cocktail glasses and pretty little cordials, but I felt that four stems per place setting would be sufficient. 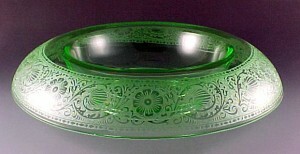 The clear glass underplate is Caprice by Cambridge. The solid, gold-rimmed china is Concorde by Theodore Haviland (made in America), and the salad plates are French by Charles Field Haviland (an 1880s pattern). The flatware is Jamestown, introduced by International in 1916. Even though it's 20th Century, I felt that it had a nice, old-fashioned look that worked well in this context. The large, starched dinner napkins are vintage, and came from a recent estate sale. That's Paula in the center. She was giving last-minute instructions to this young docent and volunteer. The young man learned to churn butter (in an antique churn), to be served with the beaten biscuits. I sampled the crusty quick bread with butter later in the day. Absolutely delicious! The cabinet below is filled with china that was hand-painted by the young ladies of the Bills family. It seems that they were all quite artistic. In addition to decorating the beautiful china pieces, several of them were prolific painters of landscapes and florals. Their drawings, paintings, easels, and other art supplies can still be seen at The Pillars. Here's a closer view of some of the china they decorated. China painting, of course, was considered a most suitable activity for cultured young ladies of the Victorian Era. Another portrait of John Houston Bills. This one, I believe, is a hand-painted copy of the original displayed in the entry hall. I placed two Haviland trays on the sideboard, along with Jamestown serving utensils (the plated tongs are modern, but added another shape and a bit of extra shine). The flowers are casually arranged in a thrifted ironstone urn. Looking to the right, we see some of the family's original ironstone pieces. The small tureen is monogrammed JHB for John Houston Bills. The centerpiece is a casual mixed arrangement of garden flowers I cut the evening before and conditioned overnight. I decided to drape English ivy down the length of the table and across the mantle, so I harvested some of that as well. I kept the cut ends in water overnight, but first I had rinsed it thoroughly (outside with a garden hose). I also patted it dry with paper towels just before arranging it, to make certain not to cause water damage to the surface of the table. This is very similar to the arrangement I did for last week's table post. It includes various types of roses, peonies, azaleas, Virginia Sweet Spire, hydrangeas, and a few fern fronds. The simple vase is from Ikea. I thought it had a timeless look that didn't call too much attention to itself. It's strawberry time in West Tennessee! Supermarket berries serve the purpose nicely during winter months, but there's nothing quite like a fully ripened, sweet, juicy strawberry! These came from the local farmer's market. Adding sugar to one would be "gilding the lily!" I do NOT, however, have any objection to using fresh berries as an ingredient for a moist delicious strawberry cake! There's a great strawberry cake recipe in the cookbook below, The Sampler II. It's being sold by APTA members as a fundraiser to help provide income for upkeep of The Pillars. I sampled the strawberry cake at one of the other homes on the tour, and it was perfect! That recipe alone is worth the $20 cost of the cookbook but, don't worry, there are many, many more, from soups to appetisers, to main courses, to desserts. They're nicely organized as well, in a ring binder with tabs for various categories. You can visit their website HERE for further information about the cookbook and about scheduling private tours (or rentals for events!) of The Pillars. 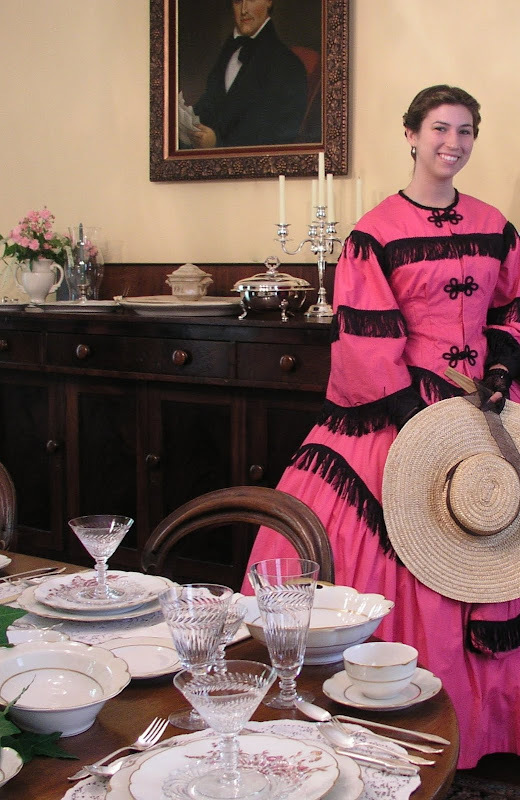 Let's pretend our docent is Evalina Bills Polk. I read online that, following the Battle of Shiloh, on April 6-7, 1862, Major Bills (her father) had gone with three other townsmen to the battlefield soon after the engagement. He was concerned for the welfare of his son, Leonidas I. Bills, and of two sons-in-law, Captains Marshall T. Polk and Robert H. Wood, who had lead their Confederate troops in that battle. Mrs. Sarah Childress Polk, widow of President James Knox Polk was promptly notified of Mr. Bills’ capture and Capt. Marshall Polk’s (Evalina’s husband) serious injury. She telegraphed President Abraham Lincoln from her home in Nashville requesting their release. Mr. Bills and his party were allowed to leave on their own parole on the condition that they not take up arms against the United States. "Evalina" told me she very much liked the table setting. Perhaps that's one of the reasons she's smiling today! In 1947, Joseph and Louise McAnulty purchased a 10-acre tract of forested land within the city limits of Bolivar (across from The Pillars). They later learned that their woods were a remnant of a rare virgin forest! McAnulty was a prominent local businessman whose family had lived in Hardeman County for many generations. The local Episcopal Church had owned this forest since the 1800s where they built a girl’s school on a slope surrounded on three sides by wooded ravines. The McAnulty family built their home on this old school site being careful not to disturb the precious forest that, as far as they knew, had never been cut. In the 1970s, university professors informed McAnulty that his oldgrowth forest was the only known remaining example of the original upland forests that once existed in West Tennessee prior to settlement. In this diverse mixed oak forest were many old White Oaks measuring up to 56 inches in diameter and estimated to be 450 years old. The professors recommended “McAnulty’s Woods” to the National Park Service as a National Natural Landmark. It was designated in 1973 when the McAnulty family signed a voluntary agreement to continue to preserve and protect the site. The land will keep its National Natural Landmark status for as long as the owners abide by this agreement. I hope you've enjoyed visiting The Pillars today. 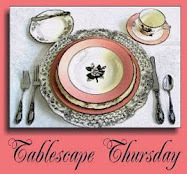 Please join Susan of Between Naps on the Porch and visit all her talented Tablescape Thursday participants. 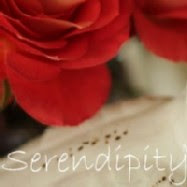 I'm also linking to a new party I hope you'll visit, Centerpiece Wednesday with The Style Sisters. Check it out HERE. Thank you to everyone who stopped by to view this post and a special thank you to the Hardeman County Chapter of the Association for the Preservation of Tennessee Antiquities for inviting me to be part of their annual tour of homes. It was an honor and a great privilege. Bill, What an honor to be asked to decorate a table for the tour, and what a great job you've done. The china is elegant and beautiful and the stemware is as well. Love the flatware too! Your floral design is creative, elegant and stunning. Love how you trailed the ivy on the table runner and table. Another fantastic tablescape (and sideboard-scape! ), Bill. Must tell you though, my favorite china of yours is the Myott Staffordshire Medici - wow, is that ever gorgeous and I've been perusing ebay for some...Have a wonderful week! Lovely! I really enjoyed the "tour" and also learning more about the home. What a fun experience that must have been to participate in! I would have been thrilled to put together a table in that gorgeous old home! Oh Bill you are just amazing! You have such an eye for detail. What an incredible tour and gorgeous table!! Oh this is amazing, Bill...absolutely amazing. I am speechless. Breathtakingly gorgeous images and fabulous history. Hi Dear Bill! Oh, what an honor for you to chosen to set the table for this lovely old mansion! I'm sure no one could have done it justice like you! It's so beautiful with your china and glassware. The centerpiece is so pretty! Love hearing about The Pillars. Oh My!!! I don't know where to start! You are inspiring! The home and it's history bring tears to my eyes! How blessed you are to live in an area that obviously treasures it history and puts the effort into bringing it alive for it's citizens. I have ancestral ties to Tennessee as do most folks I'm sure, and I can just visualize myself walking through those rooms, sitting on the porch and gazing into the beautiful forest!! Thank you for the experience! What an honor, Bill and you did a spectacular job. Thank you for the tour and all of the interesting historical information! Loved the tour! Love all home tours! You should do more...LOL! You did a fabulous job on the tablescapes, what a special honor for you and for them. So nice to hear it was a pleasant experience for you too! It's beautiful! They picked the right person to set the beautiful table. Thanks for the history lesson. What a beautiful job you did for this event. As usual, your tablescape is exquisite. Love the Hawkes stemware. Marvelous, bill, marvelous!!! You have done an amazing job of not only incorporating your pieces, but of truly integrating them within the context of that historical environment. Bill, I am really overwhelmed. You have choosen the details so thoughtful and the result is gorgeous. I am sure Mr. Bill would say that, too. The table looks noble and and inviting for a family dinner. To tell you the truth, it took me (with my weak English) a while to discover that the Bill family wasn't your own family. But I am sure, that there is a special meaning that you have the same name. O.k., without kidding: It wasn't amazing for me that your table is gorgeous. We all know about your skills. But it amazes me that you have always new ideas and outstanding combinations. You made a gorgeous harmonic table with this centerpiece in light crimson color and the salad plates with dark crimson decor. I love all the details and enjoyed the tour very much. Oh Bill, what an honor to be asked to set this special table. I would be terrified, you certainly did an outstanding job. I have been to TN one time and one of my favorite things was visitng the many homes that are still there. This one is on my list for my next visit. Can you even IMAGINE having china that was painted by a relative. Oh how wonderful. I always drool over your settings, and this one is certainly no exception. Thanks so much for posting it. This is a delightful post that you're sharing and such fun for me to see way over here in Kansas! You've done a terrific job with this Historic place. Your pictures are extra good, but I would imagine seeing this display first hand would be outstanding. Bill, your posts always make my day. Love the table and love the history! Thank you!! Hey Bill! Thanks for the tour! They could not have asked a more talented person to set up a display. It's beautiful. Oh, and I think I need a biscuit brake! Congratulations on creating such a beautiful tablescape. I am still impressed with your flower arranging abilities. You did a beautiful job , Bill. It was a very interesting lesson in TN history! I think Beaten Biscuits means the poor women were BEAT after making them..
Come to L.I. and I'll take you to Teddy Roosevelt's summer home. Sagamore Hill. I have been there at least 33 times on Field Trips , so I know the whole spiel! I enjoyed this so much, Bill, and am very, very proud of you! Great job on your tablescape and thank you for sharing both that and the history lesson. I'm a history buff, so this was right up my alley! Bill-What an honor, but one you deserved! There could not have been a better person for the job! I half expected to see the major at the head of the table! I am not familiar with the salad plates--you know I love Haviland. I understand china painting was something lots of well-bred young women did- Another lost art! That monogrammed tureen is something! Bolivar is not that far and now you have me wanting to visit myself--thanks for the tour. You did a GREAT job! A better person for this job, could not be found! I am so happy for you, I know you had a wonderful time putting this table together. Everything was perfect and beautiful as usual and what a wonderful history lesson. Thanks for sharing. Beautiful! I like the way the china harmonizes with the warm walls. What fun to decorate an authentic period home. You did it again, Bill! I can't believe you achieved this exquisite display in two (2) hours! You are incredible! Thank you Bill for taking me on a little getaway to this lovely old home. You did a great job. They were lucky to have your expertise in this. A beautiful table in a breathtaking house. Every time your settings exceed all expectations! Bill! Beautiful! I can think of no one more appropriate to set a grand table. All your tablescapes are filled with timeless elegance. You pull it off week after week! Stunning tablescape! So elegant! I am hosting a new link up party starting today. Centerpice Wednesdays and would love to have you link up. If you ever do a tutorial on how to do a floral arrangement we would love to see that! You just do such beautiful work. Ohhh my goodness, what an honor to be asked to do a table for this historical mansion and tour! My friend...fabulous work!!! This table certainly shines! Your floral arrangement and centerpiece is absolutely divine...it's truly one of the prettiest that I've seen! This has certainly been a treat...thank you so much for sharing your fabulous table with us and also for taking us on a tour of this gorgeous home!!! If I were I would have stolen the Crystal and the Centerpiece...gorgeous! What fun you must have had preparing this scape! They sure had the right person perform that magic! What an honor to be selected to stage this gorgeous, historic home, Bill. How can you go wrong with vintage Tiffin crystal stemware and Haviland china?! Delicously Delicate especially those French salad plates. Oh my...you've done it again! How on earth do you top yourself, week after week????? I don't see Virginia Sweet Spire around here at all...must investigate that further. I love the look! The only thing missing is some of your outstanding photos at dusk. I don't suppose they'd let you back in after hours, huh? No table from me this week. DH isn't feeling well. Next week, I'll play, for sure! Bill, once again you've done an outstanding job. What a terrific honor to be asked to stage the dining room for the tour. We are very proud of you! I've sent your blog/link to friends all around the country and they love it as much as I do. Hope you aren't having flooding problems today. I saw that there is bad weather heading in your direction. Keep safe and dry. Hi Bill -- This tops them all! Travelogue and Tablescape all in one...love it a LOT. 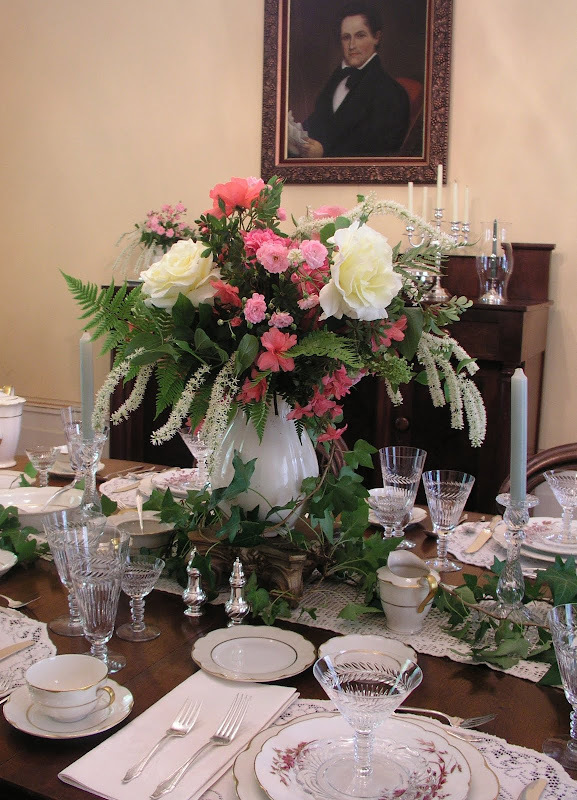 Gorgeous table, gorgeous flowers, gorgeous house and furnishings -- even the docents in their period clothes look just so perfect. Amazing! What an incredible experience to be asked to do this for a museum house. Wow! You did REALLY well. And I had to laugh at two things ... 1) the note that you washed the ivy before bringing it inside. I once neglected to do that... we had a few extra guests for brunch that day. and 2) those shutters on the house -- they are exactly like the shutters on our old house, only The Pillars' shutters are not falling apart and covered in peeling paint. I'm saving that picture to show what ours are SUPPOSED to look like! Bill, you did a spectacular job with that table! The centerpiece is the prettiest I have ever seen! Your table turned out stunningly beautiful, but then everything you touch does. I can't think of any other words to add that hasn't already been written to describe this post Bill. However, I do recall a comment you made in an email to me quite a while back where I got the impression(sorry, if I'm mistaken) you didn't feel completely confident in your talent. This is yet one of the many examples of why you should never doubt your gift. Thank you for this wonderful visual feast. You created a lovely tablescape for a lovely setting, Bill. Your talents are not going unrewarded. Just look how appreciative the membership of the APTA is! They are just a few among the many who appreciate your gifts. Get out! How exciting and what a wonderful honor! I totally agree with everyone that you are the perfect person to be in charge of all things china, crystal, silver and flowers! The setting is stunning and sweet at the same time! Your blog and photography are always a treat! Hi Bill, just catching up with your post. Great place to lay a table with such great history, well done it is beautiful. I have had the English dictionary out to look up "docent", is it a lecturer? I am also surprised you called it "English Ivy"!! I am trying to find out more about the strawberry cake and the beaten biscuits!! England finally has some warmth and sunshine, our Asparagus is available but not the beautiful Kentish strawberries, but hopefully very soon! Wow! Bill, they couldn't have chosen a better person for the job! The table is beautiful and the flowers...perfect! Thanks for sharing this piece of history with us. Oops! Sorry about deleted post. I was so excited about this post I made some ridiculous spelling mistakes! Well done Bill. What a deserved honour. The tablescape certainly rises to the occasion. It is stunning. The history is fascinating too. Thanks Bill for your generous work and approach to such a wonderful adventure for us to enjoy and appreciate. What an amazing post. I loved everything about it, especially the forest and your attention to detail. Are you convinced that your readers are encouraging you to write a book? What a great read! Bill...What a perfect match...you-setting the table at this elegant historic home!! Your table is so lovely and the centerpiece arrangement is just gorgeous! You did a wonderful job. It's no wonder they asked you to do this! Thank you for the tour, as well.